Home BOLLYWOOD Exclusive: Here’s Why Harshaali Malhotra Rejected Katrina Kaif’s Fitoor! Exclusive: Here’s Why Harshaali Malhotra Rejected Katrina Kaif’s Fitoor! [tps_footer]Since film Bajrangi Bhaijaan’s little star Harshaali Malhotra stole everyone’s heart with her outstanding performance, fans are eagerly waiting to catch her back on the big screen. The 7-year-old girl who has created magic with her performance in Salman Khan‘s ‘Bajrangi Bhaijaan’, has been getting back to back offers since then. 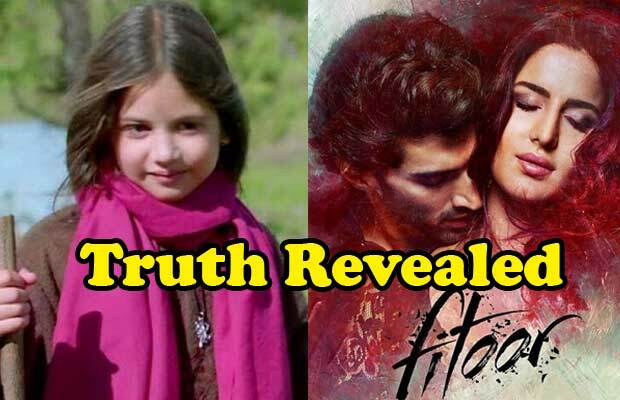 With the latest buzz, it is said that Harshaali Malhotra was also offered to play the teenage role of Katrina (Firdaus) in her recently released film Fitoor, but she rejected it. “Actually in Fitoor they needed a teenage girl and Harshaali is not a teenage. I don’t know who made this totally wrong news,” she added. Previous articleWatch: When Shah Rukh Khan, Salman Khan And Amitabh Bachchan Set The Stage On Fire! Next articleValentine’s Day Special: Check Out Special Plans Of These Bollywood Stars!